Book a Christmas getaway for the whole family and enjoy incredible winter views down by our private lake. Add some festive magic to your family Christmas holiday and let our stylish, luxurious and eco-friendly log cabins help you feel right at home. Imagine the log fire crackling away in the living room, the smell of pine all around and a light frosting of snow around the still lake. Tiptoe across the decking to the steaming hot tub and immerse yourself in a winter wonderland experience. Our family look forward to welcoming you for a Log House Holiday this festive season. Thank you for a magical Christmas. We felt like we were a million miles away. 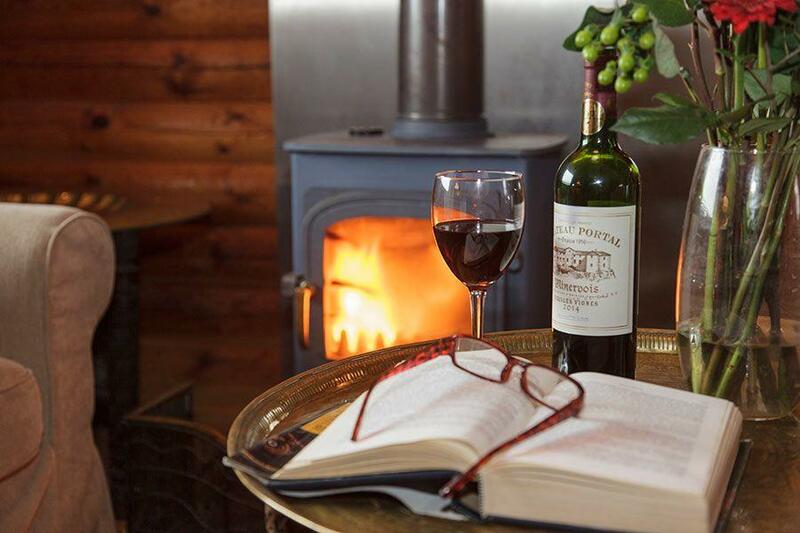 Our cosy log houses are designed for days in around the fire and days out around the lake. Entrance rooms are ready to put your muddy wellies in after a bracing walk in the surrounding nature reserve. Spacious living areas have big comfy sofas, a log fire, books to read and board games to play. The stylish bathrooms have powerful showers and roll top baths to make you feel truly pampered. And finally, each cabin offers a fully equipped kitchen so you will have everything you need to put together a delicious festive meal with some locally foraged Cotswold produce. And all 8 of our luxury cabins are pet friendly – because a cosy winter holiday wouldn’t be the same without your four legged friends! 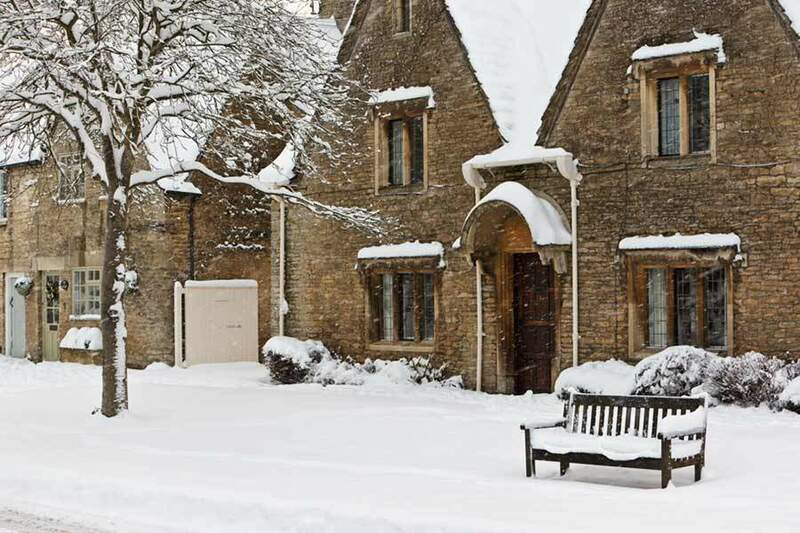 Head to one of the famous Christmas fairs in the nearby Cotswold towns to pick up some gifts for the family or to try some of the local produce in our nearby farm shops. There are fun days out at the popular attractions too – keep your eye on our monthly cotswold blogs to see what’s coming up when you are here. A must whilst you’re staying at our lake is a long walk through the Cotswold countryside followed by a well-deserved meal and drink at one of our highly recommended cotswold pubs.